How can Machine Data Analytics and Anomaly detection help your business? Whether you make medical devices, industrial machinery, routers, data storage systems or EV charging stations, there is valuable information in your product's data, both at the machine and fleet level. ​Some examples are listed below, but machine data analytics and anomaly detection can impact every step of a product life cycle, from the concept to the end of life management. Continuous production processes generate a lot of data, and most companies already collect and store this data. You can benefit from Yanomaly in at least two ways: as a customized monitoring platform taliored to your needs, or as add-ins integrated into your existing solution. Process mining, one of Yanomaly's main technology, is very well suited to discrete manufacturing and batch production as it has the ability to learn processes made out of different steps. Examples include robotic assembly lines as well as batch chemistry. Specific anomaly detection algorithms detect deviations, abnormal timing and other issues, even for processes with variable sequences or order of operations, or for batches with variation or different products. Yanomaly can be integrated in existing monitoring platforms (such as Golden Batch or Batch Analytics ones), or offered as a complete monitoring solution. Water, electricity and other utility distribution networks are becoming increasingly connected, and so are the production units feeding them. Anomalies in the data these IoT enabled systems generate can be used to detect various issues such as leaks and abnormal losses, improper dimensioning, local insufficient amount of sensors, production performance issues. Integrated in your existing systems or as a stand-alone solution, Yanomaly will help you optimize your operations. Yanomaly focuses on one particular aspect of machine data: the analytics. The data collection infrastructure, transmission and other aspects are usually done either by our customers or third parties. If you want to add state-of-the-art anomaly detection and machine data analytics to your solution, Yanomaly is offered as easily integrated OEM modules. Many third party service providers have to work with multiple brands and types of equipment. Even if they only manage the equipment of a single manufacturer, these systems are usually interacting with other companie's equipment (for example medical imaging systems communication with a hospital's PACS, or routers and switches in a data center using multiple vendors' equipment). Because Yanomaly is an unsupervised learning system, it is vendor agnostic and can work with data from multiple sources and types at once. In particular, the automatic log parsing module uses machine learning and artificial intelligence to greatly simplify log analytics setup. Your company does not fit in any of the categories here? 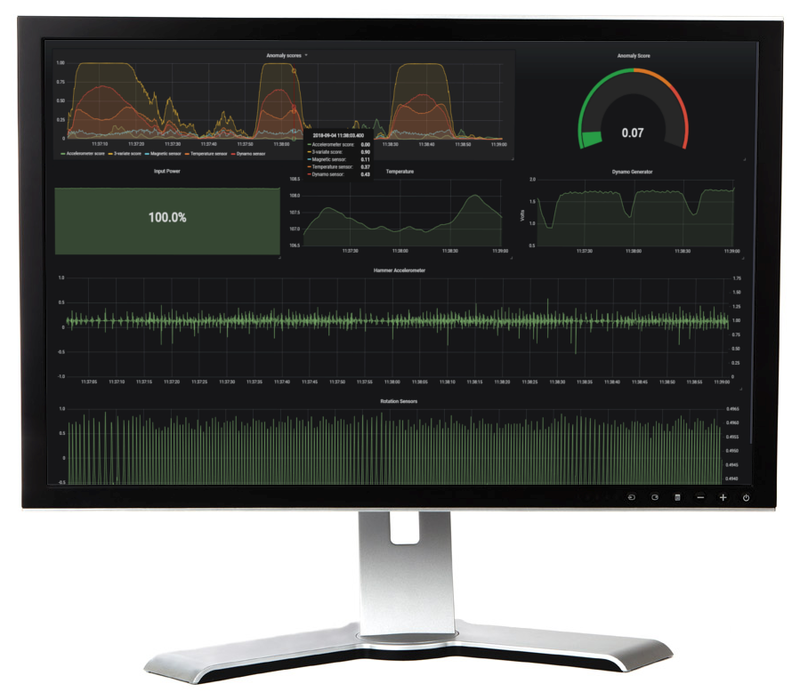 With a better view on real use cases and patterns obtained by analyzing historical data, you can design your machine to be easier to use and identify productivity bottlenecks. Move a hard to reach but much used configuration screen to a faster accessible place for exampl​e, or simplify a common sequence of operations. Finally, for the end of line testing phase, you'll be able to check the most common failure points test conditions that mimic the real usage of your machines, devices or systems closely. Engineering requirements can also be more precise and thus lower the costs of materials and improve reliability. For example: avoid over-engineered but rarely used parts, or use better quality parts for high usage / failure ones. ​Thanks to machine log & data analytics you can be alerted early of suspicious events that could be the precursors to bigger problems. Machine learning-based anomaly detection can see patterns that humans could never find and detect issues for which no alarm rule was written. You can start investigating a problem before the user is even aware of it. Machine learning enhanced data exploration complements human expertise and enables faster and more efficient troubleshooting and reduce MTTR (mean time to repair): when investigating an issue, the anomalies can be highlighted and filtered on-the-fly, speeding up root-cause analysis and fixing the problem. Your service engineers will be guided to the small percentage of the data that has the highest likelihood of containing the root cause of the problem. ​Anomalies can be detected in real-time and can on some cases even be predicted before they occur. If there is insufficient time to involve a human, automatic remediation actions can be triggered to move the system temporarily in a safer mode of operation and prevent the problem, or to at least reduce the damage caused by it. Signs of wear visible in the data and indicative of the condition of various machine parts or subsystems enable truly predictive maintenance. With a holistic view on real performance degradation, it is possible to optimize maintenance operations so they address the most pressing issues and happen at the right time without disrupting operations.